SAVE 10% AS A PACKAGE! NexPro Cell Tech is a dietary fitness program that focuses on providing peak energy release, enhancing stamina and accelerating recovery. NexPro Cell Tech (Xtreme) contains GSH Complex® for proper nutrition, energy and balance, Une-VieTM for out-of-this-world hydration and nutrient delivery, and Triozyme® for proper digestion and assimilation. It works at the cellular level, making it the most effective and performing supplement collection in North America. The perfect chain of amino acids neutralizes lactic acid and acts as the most advanced delivery system for each, individual cell in your body. The innovative combination will activate every cell to work at their optimal potential and will maximize your results. The Highest Bio-Available Grade Tripeptide Isolate on the market today, GSH Complex® acts as a precursor for the increase of glutathione at the cellular level. It neutralizes lactic acid and accelerates the repair of damaged muscles. Its bioavailability permits your body to instantly recognize it and process every nutrient optimally. Is an All-Natural whey sourced from grass-fed cows (GMO-free, Additives & Flavor free, Lactose free, and Sugar free). Une-Vie™ moves from outside the cell to inside and promotes better nutrient absorptions. Une-Vie™ is a wonderful delivery system; it enhances the uptake of nutrients to the cells, improves superior hydration and, therefore your cells function better. This creates an overall healing effect on your whole body; when structured water is paired with good nutrition, the results are amazing. Triozyme® is a dehydrated wheat sprout formula with a high nutritional value. It provides essential nutrients in balanced portions, promotes cellular regeneration and aids in nutrient absorption and assimilation. It can also help correct nutritional deficiencies, increase your body’s energy and produce an enhanced sense of well-being. It is important to drink GSH Complex® immediately or within 1 hour of preparation. Do not mix in a blender or in a hot beverage – this will disturb the products bio-availability. Une-Vie™ is a Cellular Hydrating Solution. Therefore, it is mandatory that the solution is mixed in Spring Water. NEVER drink Une-Vie™ undiluted. Use GSH Complex® on a daily basis preferably before and after your workouts. Take 1 scoop before to energize your body and kick start your metabolism. Take 1 scoop after to neutralize lactic acid for a fast recovery. Premix 1 oz (30 ml) of Une-Vie™ in a 1 gallon (4 L) water bottle, and drink at least four 8-oz-glasses (250 ml) throughout your day. Save one glass for before your workout, and one after! It’s important to drink Une-Vie™ before your workout to hydrate properly and send nutrients to your cells. Drinking it after your workout helps release toxins and re-hydrate cells. You should drink at least two glasses of Une-Vie™ water per day. Une-Vie™ makes up to 300 regular water bottles. It is recommended that you consume two tablets after each meal, for optimal results. This can vary depending on your nutrient requirements. At Cymcorp, we love answering your questions and want to provide you with the tools you need in order to find answers to questions related to managing your personal health. Within this section, you will find the frequently asked questions. If you cannot find the answer you are looking for, please contact us. What will I find in NexPro? Can I take GSH Complex® if I’m lactose intolerant? YES, you can! GSH Complex contains less than 0.4% lactose; under 1% is undetectable to the body and will not create any negative side effects even in the most severe cases of lactose intolerance. Does NexPro affect my medication or other product intake? NexPro maximizes the potency and delivery of everything you give to your body; therefore, we advise that other products and/or medications are taken half an hour before or after the use of NexPro. How does the manufacturing of GSH Complex® differ from other whey proteins? In the manufacturing of other whey proteins several things happen: in the process of heating and pasteurization, critical bonds holding the cysteine molecules together are broken. This destroys and diminishes the very proteins that serve to raise glutathione levels most effectively. We have developed a process, Provida CVE™, in which these delicate proteins remain intact and enhance the bio-availability of these proteins. Also, most protein are sprinkled with added sugars and flavors, we like to keep it all-natural. Most definitively, although a common mistake is to compare GSH Complex® to lower grade whey proteins created for bodybuilding. If we look at high-quality protein, we’re known to be the least expensive on a daily use! Only 2 scoops of 10g/day are needed, which comes up to 3$/day. Other fitness whey protein usually stand between 6-8$/day. There’s a host of whey proteins on the market today ranging from the very inexpensive whey used to hold cupcakes together, to the body building grade to the isolate composition with therapeutic properties, which is what GSH Complex® offers. GSH Complex® is composed of the highest grade whey protein isolate. How can Une-Vie boost my performance? Une-Ve™ is a wonderful delivery system produced through extensive purification and a patented process. It enhances the uptake of nutrients to the cells, improves cellular hydration and provides a fast elimination of toxins. Improper hydration leads to serious lows in energy, loss of focus, a slow recovery, and much more… all factors that strongly affects your performance. But a proper hydration, promotes higher energy levels, mental clarity, and the repair of damaged cells, which boosts your stamina, promotes a fast recovery and permits you to push your limits. Does this mean that I should cut down on water? You can include the glasses of Une-Vie™ water in your suggested daily water intake, but it is important to drink at least 8 8-oz-glasses of water every day! Will GSH Complex® make me gain mass? GSH Complex® will rebuild damaged muscle tissues, but is not meant for bulking. It is meant to boost stamina, performance and energy while being the healthiest nutritional supplement. How long will the NexPro Junior package last me? Following the method of use, a full package of NexPro Junior should last you 45 days. Why is Glutathione (GSH) so important for my body? It’s very simple; GSH is a naturally occurring protein within your cells, it permits the regeneration if dysfunction cell to keep them healthy and strong. Around your 20, the GSH levels in your body start depleting which leads to cellular death! Cell death leads to tissue and organ damage, which can lead to death. Really, GSH depletion is basically what kick starts the process of aging. May I premix Une-Vie ahead of time? Absolutely! You can premix your Une-Vie™ in a 4L Spring Water bottle. TIP: You can even put a full Une-Vie™ bottle in our 18L water dispenser. This way you don’t even have to think about it! May I premix GSH Complex® ahead of time? That one’s a big No-No. Because of the bio-availability of the product, you must drink GSH Complex® within the hour of preparation. If it is premixed, its bioactivity will be disturbed and it will minimize your desired results. How do I know this is good quality? Is there a guarantee? Our commitment to quality is the highest in the industry. Every product undergoes rigorous analysis for purity, potency, safety and freshness. And we guarantee it with our Results-Or-Money-Back Guarantee! We promised to refund or exchange any product that you have not seen results with within 30 days of use. Learn more in depth about NexPro Cell Tech, its research, and benefits right here! View the official label of GSH Complex® for all nutrition facts, method of use, and benefits. View the official label of Une-Vie™for all nutrition facts, method of use, and benefits. Give Yourself A Fighting Chance is a publication written by our former medical advisor, Robert I. Bender, M.D., FAAFP, written on Glutathione and its importance to maintain optimal health. Julien Lacroix, rock climber, is enthusiastic to talk about his experience with GSH Complex®. This report assembles support of the rationale that firms up the observations associated with cellular health such as cellular hydration, transferring agents, detoxification and co-factor for a variety of delivery systems, such as GSH Complex®. Julien Lacroix, rock climber, is enthusiastic to talk about his experience with Une-Vie™. Sean McColl speaks about his experience with Nutraxis products. GSH Complex® is a precursor for intracellular glutathione and promotes optimal health. Provida Pet™ is a natural supplement supporting optimal health while helping to cleanse your pet of parasites. Triozyme® provides essential nutrients in balanced portions, and promotes proper digestive functions. 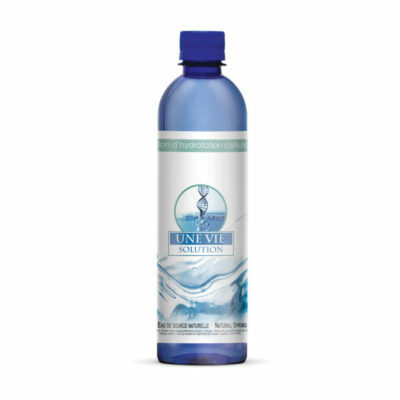 Une-Vie™ increases the positive effects of cellular hydration and has an overall healing effect on your whole body.